Year of construction 1963. 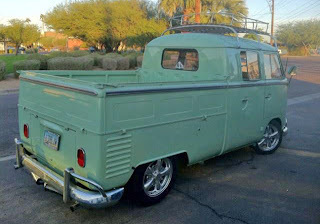 VW Double Cab for sale in Phoenix, Arizona, USA in very good condition. Color Turquoise. 1600 dual port engine 12 volt. Great looking custom double cab that gets looks everywhere it goes. Deluxe body trim around and also used to trim the suede headliner. Tan leather seats with suede inserts. Green German square weave carpet. Safari pop outs. 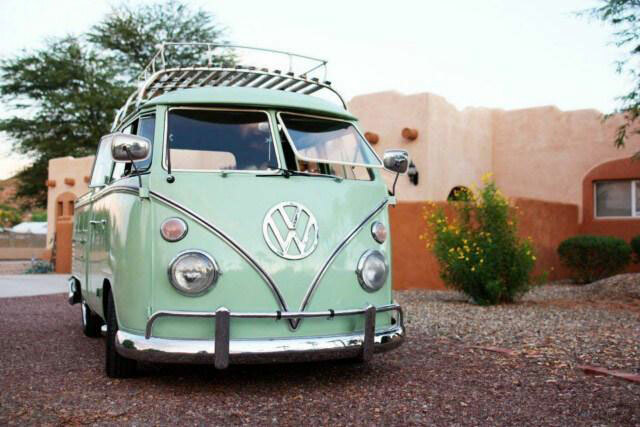 Roof rack. Lowered front end. Lots of chrome but not too much.